My daughter Kayley is wearing the costume. She has on a a one piece pink pajamas and Bruce house slippers. The drum is a hat box I paint. 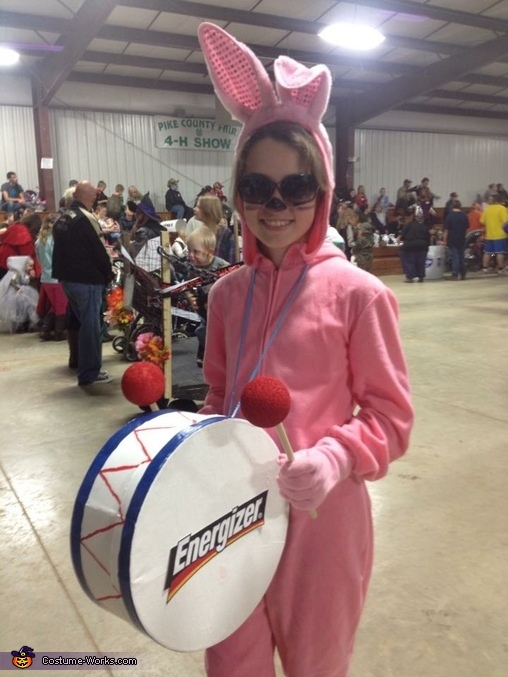 I printed energizer labels an glued them to the drum. The drum stick are made from craft sticks and foam balls painted red.